Guerneville Bath RugGuerneville Bath Rug, alt="Guerneville Bath Rug, "
Print Fine Turkish cotton is a bath essential for a reason. 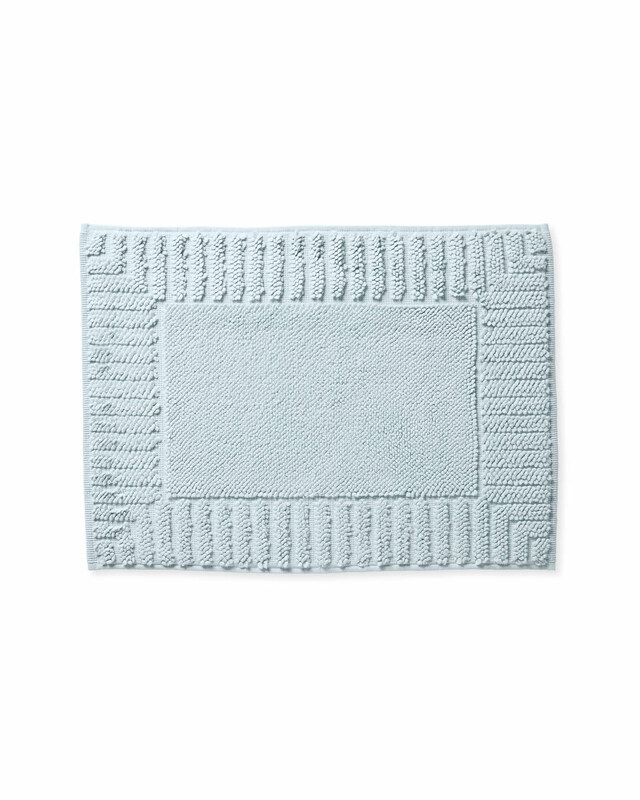 Loomed from pure Turkish Aegean cotton, this features unique Spinsoft technology for a luxuriously lofty mat that’s quick-drying and soft underfoot. The striped edge and mitred corners add a nice design detail. In shades inspired by the sea. Spinsoft technology creates a luxuriously lofty mat that’s soft and quick-drying. 17” x 24” and 21” x 34”.